After seeing a post by The Angel Forever on Instragram of a fun crayon craft, I decided to do a similar activity with my kids to try and keep them busy one summer day. 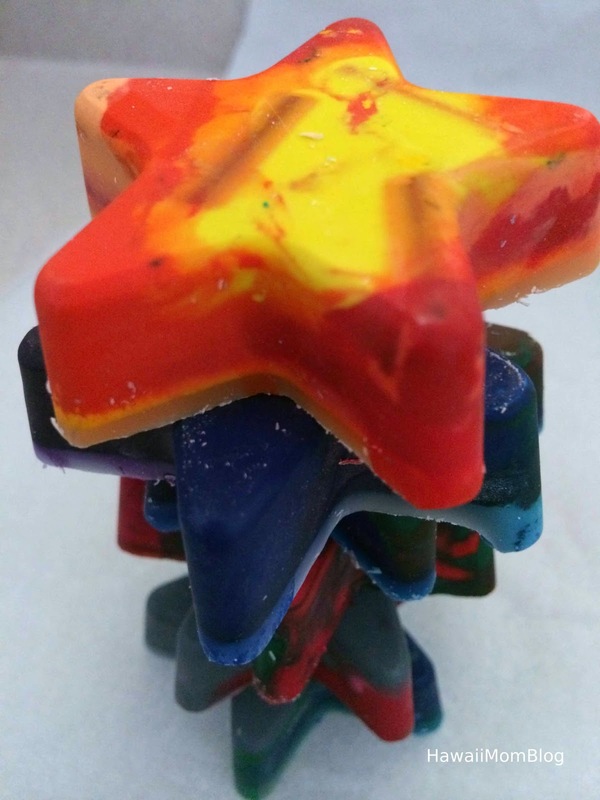 We took some old crayons, unwrapped them (cutting the wrappers with an X-Acto knife helped tremendously), broke them into small pieces, and placed them into an old silicone star mold. I put the mold on a baking sheet and into a pre-heated 200 degree oven it went for 20 minutes. After letting the melted crayons cool for at least 30 minutes in the mold, I put the entire mold in the freezer for another 30 minutes to ensure they hardened nicely and would not break upon being taken out of the mold. The crayon stars came out quickly and easily, and my kids thought it was so cool to draw and color with them! On Instagram someone suggested buying molds in all sorts of different shapes and sizes from a dollar or thrift store, and I think I may just do that! 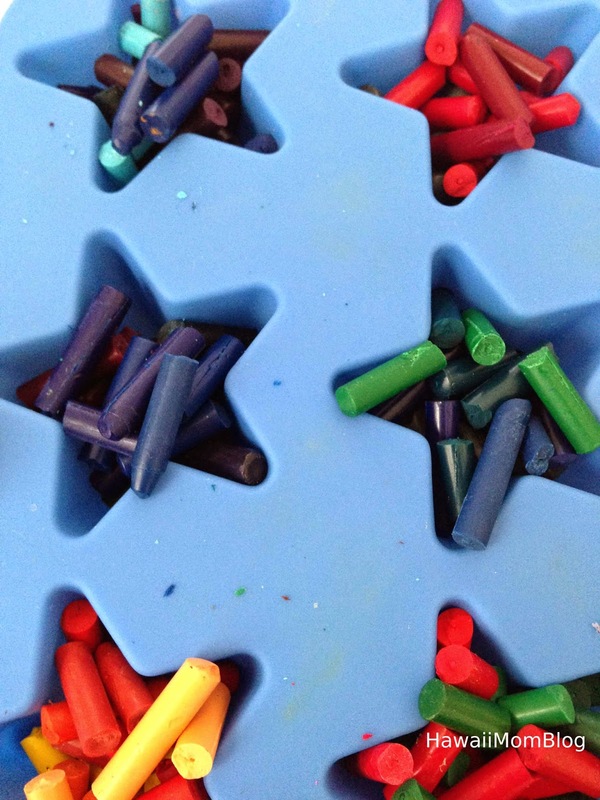 What a fun way to recycle crayons!